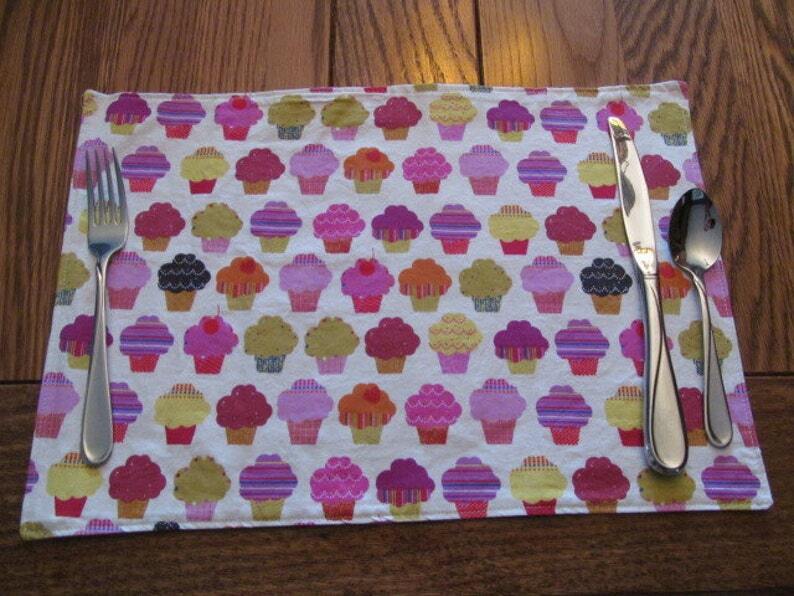 Price includes 6 reversible Cupcake themed placemats. Reversible Placemats are a great way to add a little fun to your table. Placemats offer fun theme on one side with a more traditional fabric choice on the other. Placemats are approximately 16” x 10” are machine washable. See our shop for additional themes. Shipping is via USPS Priority Mail. These are ready to ship. If you live in the Loudoun County area, contact us about delivery or pick up.